As my twelve dedicated readers (hi, Mom!) will remember, this movie was one of my “Faves of 2013.” Like The Spectacular Now, which Alex reviewed yesterday, it rises above the conventions of its genre to deliver an emotionally honest, character-driven story. Having re-watched it just now, I’m glad that I put it on the list. It’s one that’s going to stick with me for a long, long time. The Plot: 14 year-old Duncan (Liam James) gets dragged along on a “family” vacation to spend the summer at a beach house owned by his mother Pam’s (Toni Collette) douchebag boyfriend Trent (Steve Carell). While his mom tries to fit in with Trent’s summer friends, Duncan is befriended by slacker water park manager Owen (Sam Rockwell). Duncan gets a job at the park to escape his crappy home life, and as the summer goes on, his confidence slowly builds. Things come to a head when Duncan catches Trent cheating on his mom. Decisions are made, not all of which he understands. But when the summer does, inevitably, end, Duncan is stronger for it. His friendship with Owen has given him the self-confidence he needs to forge his own path in life. The Way, Way Back has all the trappings of a standard coming of age story, but it uses these tropes in service of a grounded, human story. We have the blueprint—shy, lonely kid hangs out with some quirky people and finds confidence—but the film comes from a place of real honesty. The characters feel human, so we care about the big moments, predictable though they may be. The emotional truths sell the story. While the plot is straightforward, the script is both witty and nuanced. I just emphasized the emotional core of the film, and I’ll spend a fair chunk of the review talking about the more dramatic moments, but I should add that a lot of the movie is also laugh out loud funny. Much of the humor comes from Owen. Sam Rockwell is, as always, a joy to watch. Owen is theatrical and immature, but he’s also remarkably perceptive. Rockwell never makes the mistake of overplaying the character. He nails the mixture of larger-than-life energy and subtle pathos needed to make Owen work not just as a screen presence, but as a human being. Much of the character’s dialogue is hilarious, and his wry delivery of goofy lines is perfect. Not goofy in the “what idiot wrote that?” sense, but in a “this character is a lot of fun to be around” kind of way. There’s a lot of walk-and-talk scenes where Rockwell shines. Owen is the kind of guy who makes you feel better about yourself just by spending time with you. Especially if you’re fourteen. He’s funny and cool. Unreliable and frustrating if you’re his girlfriend, but a warm, encouraging presence if you’re young and unconfident. What’s more, Owen understands you. There’s a scene where he meets Peter (River Alexander), the film’s token precocious, foul-mouthed eight-year-old. Peter has a lazy eye, and his mom (Allison Janney) makes him wear an eye-path, so people “don’t get weirded out.” Owen immediately starts making jokes, but not at Peter’s expense. He’s encouraging and sympathetic. By the end of their thirty-second conversation, Peter is more confident. Owen’s given him the tools to combat a lifetime of weird looks. Where’s my one magical summer, Sam Rockwell? That’s one of the many things that this film does right. The script, by co-directors Nat Faxon and Jim Rash, takes these genre archetypes—quirky slacker, distant mother, douchebag boyfriend—and fleshes them out to create believable characters. Owen, of course, is developed beyond his theatrical persona. His girlfriend, Caitlin (Maya Rudolph) is complex and relatable in spite of her somewhat limited screen time. Pam has an arc of her own, and reasons for acting the way she does, which I will talk about later. The only character who comes across as somewhat shallow is Trent, but I think that’s less a fault in the script and more that some people are just assholes. I have known guys like Trent. They specialize in belittling people. To his credit, Steve Carell plays the character at exactly the right level of douchebag. Like Rockwell, he never goes overboard, but he doesn’t get carried away in humanizing him either. Trying to make Trent more sympathetic through his performance would have undermined the script. Conversely, Toni Collette does a lot to make the audience empathize with Pam in her limited screen time. Her efforts are aided by, as I said, a perceptive script, but most of the credit goes to Collette. She has one of the best dramatic scenes in the film, an increasingly uncomfortable game of Candyland. It’s painful to watch, but the wonderful acting and writing ease the cringe-inducing pain. She tries to make everyone have fun in the face of Trent’s petulant and condescending adherence to the rules, and the scene illustrates her eventual struggle to choose between the relative security of Trent and the emotional well-being of herself and Duncan. But the real standout performance comes from Liam James. Duncan is a tough role to play well. At the beginning of the film, he’s sullen and awkward. His home life isn’t all that great, and he has no confidence in himself. Initial conversations with the smart and also sullen girl next door Susanna (AnnaSophia Robb) are painful, to say the least. But through his friendship with Owen and job at Water Whizz, he grows more self-assured. James plays the transition with great subtlety, grounding the easily predicted story beats. The changes feel believable, because James has a clear understanding of who Duncan is. The dialogue is equally nuanced, but there are times when he telegraphs more with facial expressions and body language than words could convey. Like the adult cast members, he never overacts, finding instead the emotional truth in his character. James even nails the big emotional scenes, perfectly capturing the frustration of a young teen frustrated by the seemingly baffling decisions his mother makes. This kid is my spirit animal. As much as I love how the main plotline was handled, one of the strengths of the film is that it’s more than just a coming of age story. That’s the focus, true, but it has something to say about the adults as well: Sometimes, we get so caught up in taking care of ourselves that we fail to take care of the people we love. There’s a moment, towards the end of the film, when Pam goes to the water park and sees an Employee of the Month picture of Duncan. That’s when it really hits home that she’s failed her son. It’s the first time she’s seen his smile all summer, and she wasn’t even there. She was so wrapped up in her own life that she didn’t know anything about his. It’s a great moment, and it made this l’il guy tear up. But the film doesn’t judge her for that failure. Pam is a divorced single-mother. Duncan’s father doesn’t want him. So they live in a one bedroom apartment in Albany, which, to be frank, is kind of a craphole. Seriously. Don’t go to Albany. Pam is scared, and Trent represents security. Distant though she may have grown from Duncan, she sticks with Trent because she wants to take care of her son. 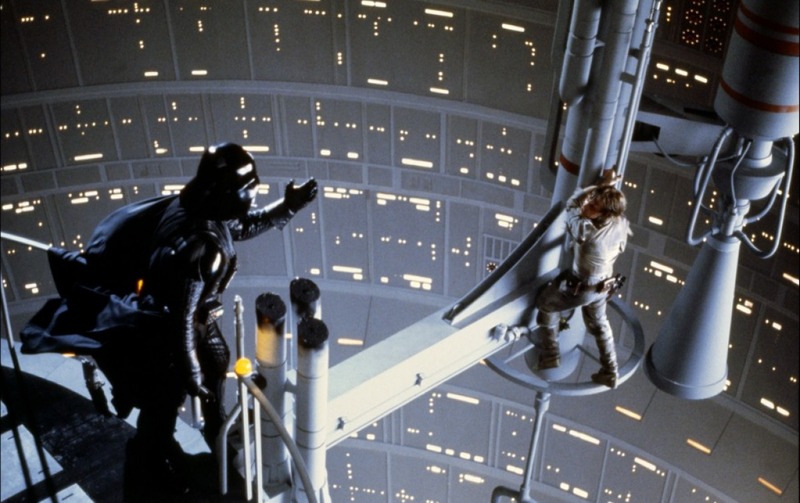 Even though the story plays out exactly how we expect it to, it’s these nuances that make the film. I saw the big “moment” at the end coming from a mile away, but you know what? I wanted that moment. Faxon, Rash, and the cast earned it. That emotional connection is, I would say, far more valuable than the ability to surprise the audience. Make us care. Feelings stay with us. Plot twists? Eh. The emotional connection is there, so I’M STILL RIGHT. 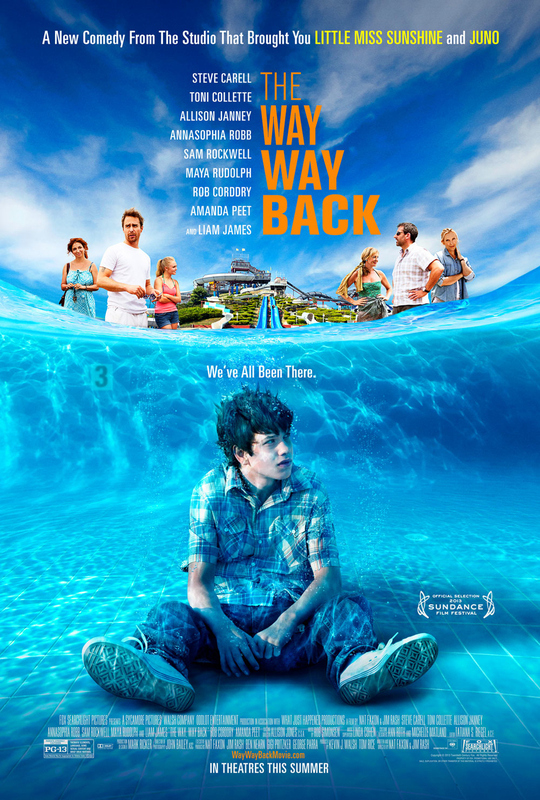 The Way, Way Back is a funny, often poignant look at an awkward time in a boy’s life. It rises above its One Magical Summer sub-genre roots, instead laying a foundation of emotional honesty and real human characters. I laughed, I cried—yeah, I know—I related. Maybe it won’t hit you the way it did me, but I’m willing to bet that you’ll enjoy it all the same. ← Brush Up Your Shakespeare 5: Et Tu, Second Breakfast? I saw this film on a whim a while back and absolutely loved it – it was such a moving movie and was laugh out loud funny just enough when it needed to be. The performance by Rockwell was great, as was most of the other cast members. Also, thanks for the interview video – cool stuff! Glad you liked it too! And yeah, that’s one of the better interviews I’ve seen. I love how comfortable it is.